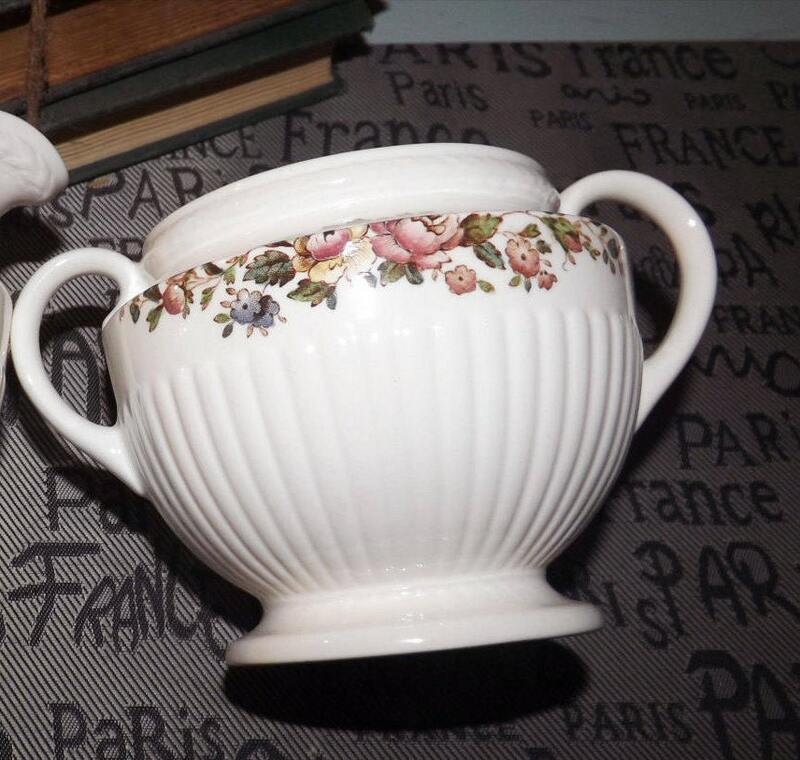 Vintage (1970s) Wedgwood Conway 8384 Edme shape double-handled sugar bowl (no lid). Multicolor flowers, ribbed body. 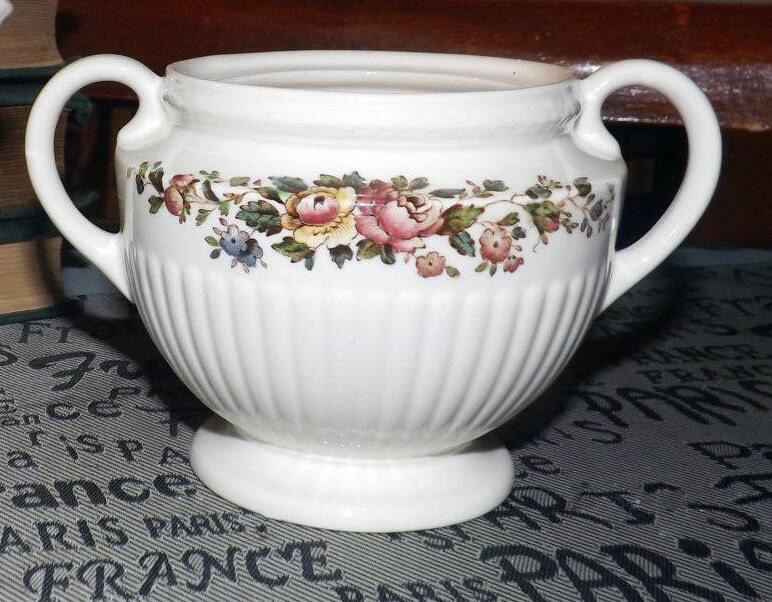 Vintage (mid 1970s) Wedgwood Edme Conway pattern 8384 double-handled sugar bowl (no lid). Multicolor flowers, ribbed body. 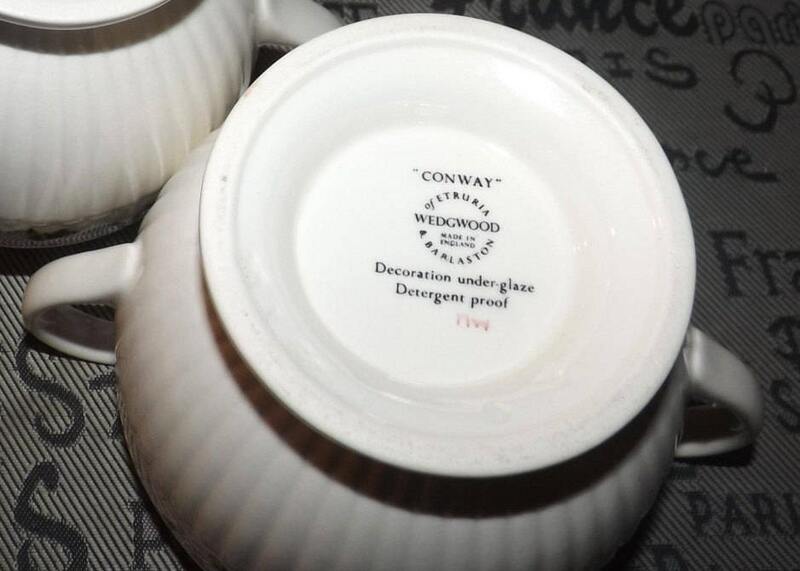 Wedgwood Edme is a timeless and classic pattern dating back to the 1920s. 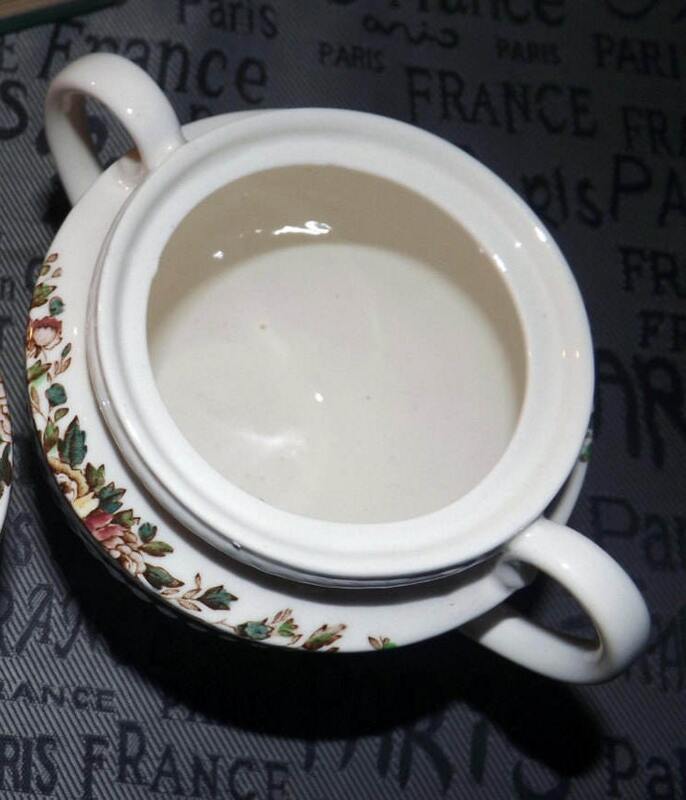 This Edme Conway set features multicolor florals against an antique white/cream color ground with a ribbed body shape and embossed edge. 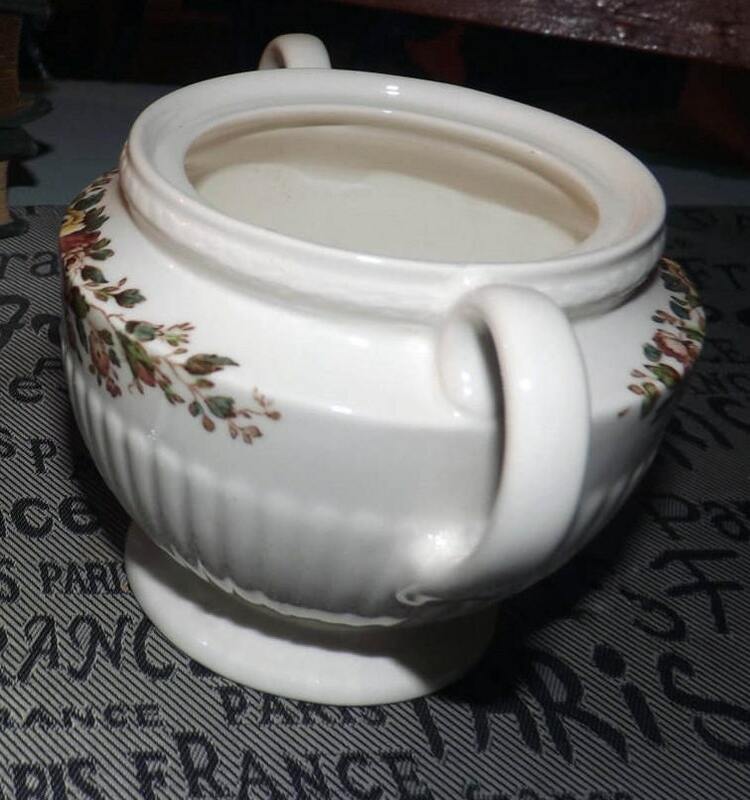 This sugar bowl, while missing its original lid, is in EXCELLENT! condition with NO! chips, nicks, cracks, or fleabites, LITTLE! TO NO! crazing and NO! marks, stains, scratches or other signs of use or wear. The multicolored florals are bright and vibrant with NO! fading and the inside of the bowl is clean as a whistle! Approximate Measurements: 3-5/8" H x 5" across (handle to handle). Exactly what I wanted. Shop owner was very accomodating to get me the best shipping price.